I decided to see whether Vueprint was still around, and it was. Ed Hamrick, its creator, is no longer developing it; he is concentrating on a sister program for scanners called Vuescan, but Vueprint is still available for download. Furthermore, it is now free as in beer; a registration code is published on that same page. It works just fine on Windows 7. However, when I tried to install the screensaver, nothing happened. 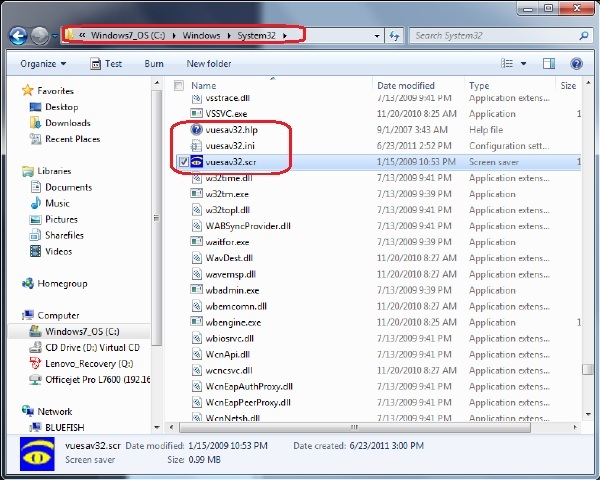 It stalled because the Windows 7 security model did not allow it to directly insert its files into Windows directory. Even had it been able to do so, the program still would not have appeared on the “Screensaver” dialog in the display “Properties” (which I note Microsoft has pretentiously renamed “Personalize” since, apparently, one does not “use” Windows; one “experiences” it). But I am now running the Vueprint Screen saver. 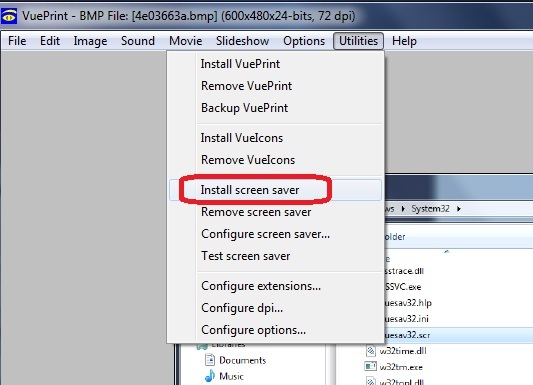 I went to my Legacy XP computer and grabbed the three files from it, then, using Windows Explorer, I muscled them into C:\Windows\System32, the default location for screensavers in Windows 7. Now, I don’t use pirate software, but I don’t want Microsoft or anyone else sniffing around my computer any more than absolutely necessary to keep it updated, so I went back to my old XP box, grabbed a copy of the winhlp32.exe file from the Windows folder, and dumped it into a directory under Program Files. It works.